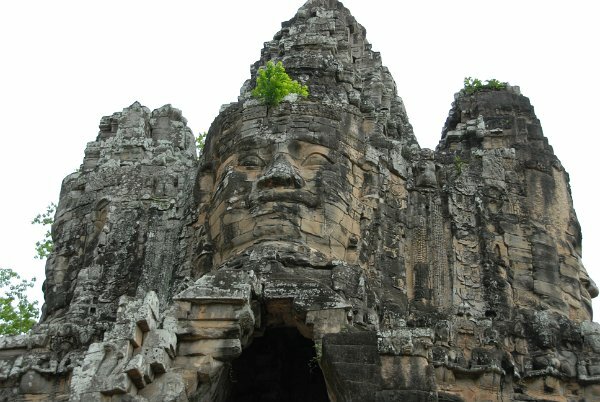 Angkor Thom, located in present day Cambodia, was the last and most enduring capital city of the Khmer empire. It was established in the late twelfth century by king Jayavarman VII. It covers an area of 9 km², within which are located several monuments from earlier eras as well as those established by Jayavarman and his successors. At the centre of the city is Jayavarman's state temple, the Bayon, with the other major sites clustered around the Victory Square immediately to the north.